Fear-free Horse Training, every step of the way explains every facet of horse training - from catching a foal for the first time, starting a horse under saddle, teaching your horse to move forward and give, overcoming problems such as shying, rearing, pulling back, and much much more. 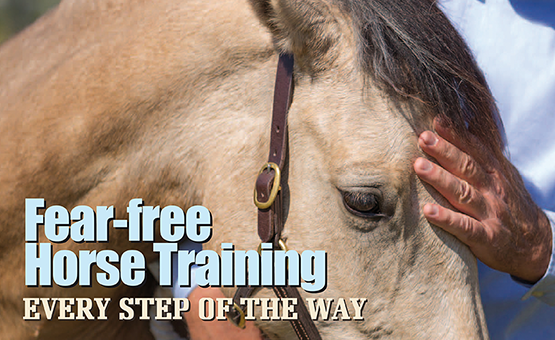 A horse training book built on removing fear and stress during the animal’s every working encounter with a human. 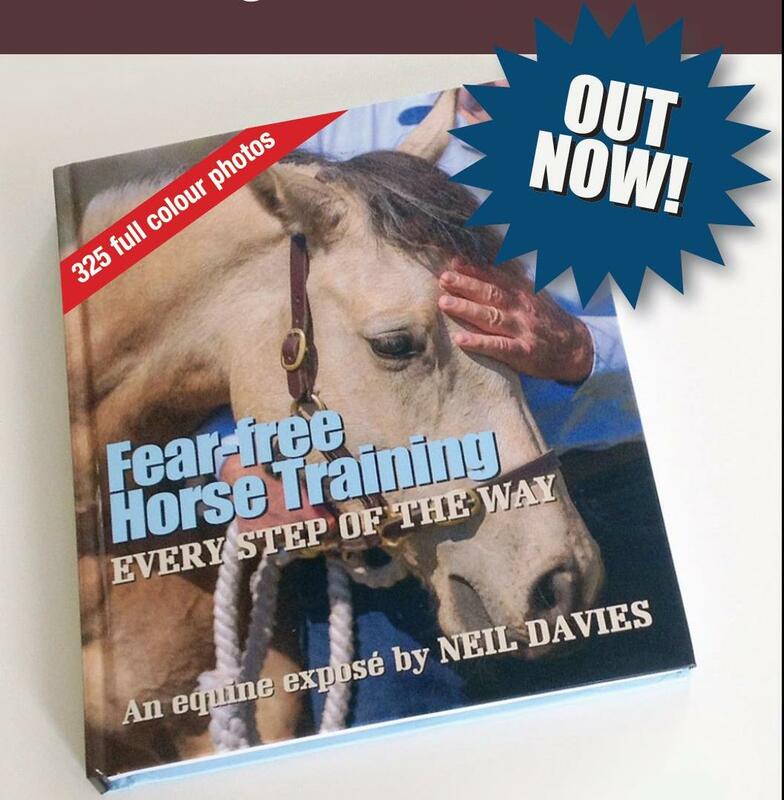 This is the bold approach taken by Australian trainer Neil Davies in his long-awaited book, FEAR-FREE HORSE TRAINING, Every Step of the Way. The book is 225 pages in hard cover, with 325 photos in full color. 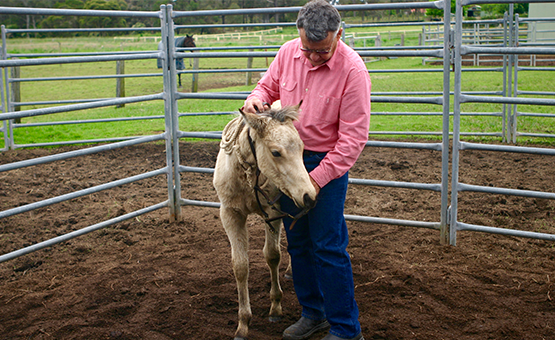 As a teenager, Davies started working with horses on his father’s dairy farm on the rim of the Outback. His unique style and swift progress was noted by an ever-increasing number of horse people. 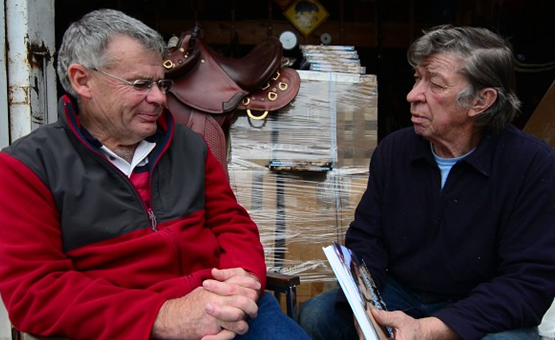 He presents “original knowledge” revealed to him by working with thousands of horses. There are no “problem horses,” he believes, only incorrectly informed people. 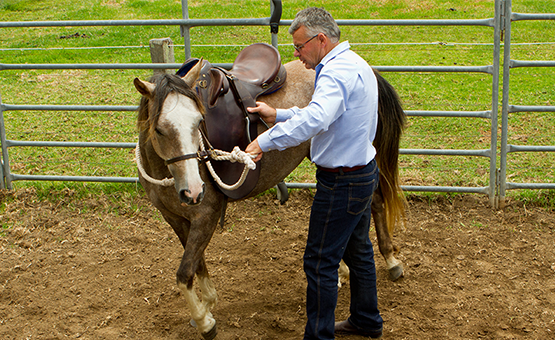 Neil Davies’ signature approach to every horse is a rub on the forehead and neck. “This rub can’t be overdone and is the most important training tool for every horseperson,” he says. Read about my best-selling book here. It’s THE Bible on horse/human relationships. Hear my training ideas, gathered from fifty years’ experience, in this ninety minute tell-all interview podcast.